Bill of Lading Laser Form 13651 At Print EZ. 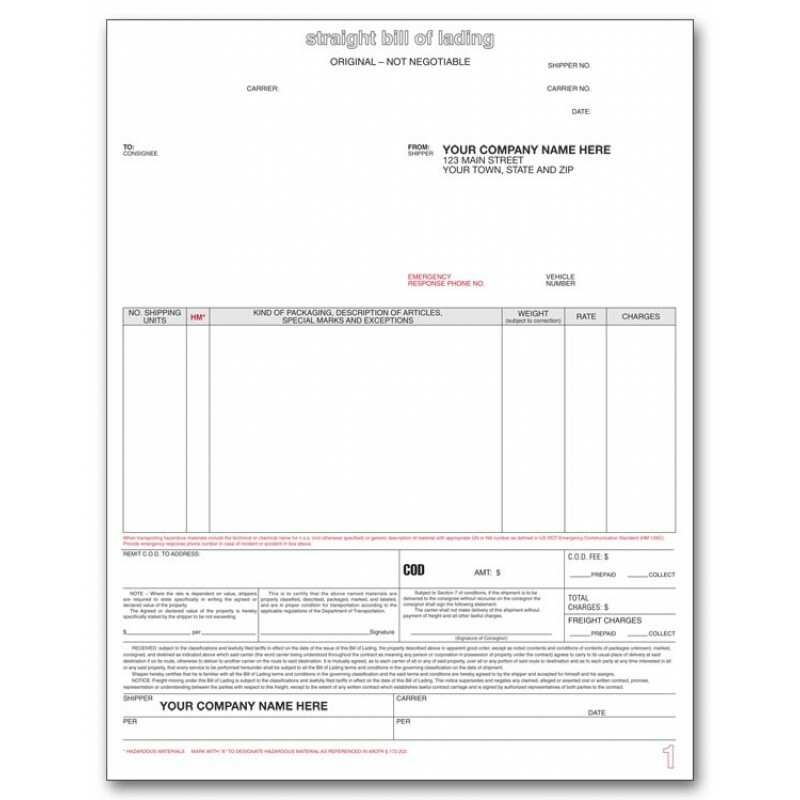 Bill of Lading Laser Form Item No. 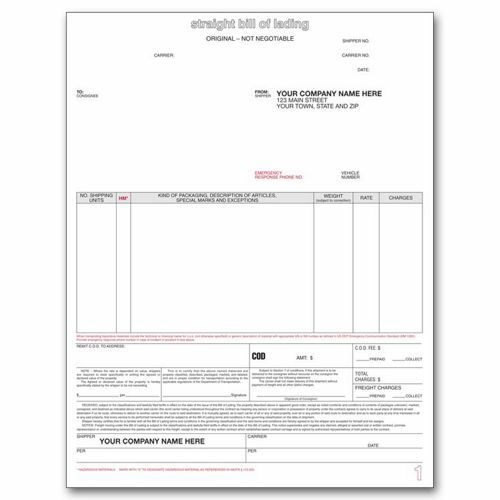 13651 Size: 8 1/2" x 11"
This bill of lading laser form saves you the time and effort of designing your own receipt for acceptance of shipments for delivery to your client’s customers. This preprinted bill of lading form incorporates standard declarations and disclaimers that you want to include for saving yourself from unnecessary litigation later on. We offer free personalization that includes your company logo and business information in the ink color and typestyle of your choice. The minimum order for this product is 250 forms printable on a laser printer. You may want to take advantage of the attractive discounts offered on larger orders. Also check our offer of free shipping within United States.